If you have been longing to learn how to knit and want an easy place to start, then a knitting loom may be the ticket for you. Once you master the basics, knitting on a loom goes quickly and becomes very enjoyable! In fact, working with knitting looms was so fun for me that I bought a set to give to my niece a few months ago. She loved making hats with the circular looms and was soon going so fast that she was turning out a couple of them a day! Being the enterprising little bunny that she is, she went on to get several orders for her hats for the holidays and is thinking about a business name now. She is a very mature 11-year-old and is now quicker at using the circular looms than I am. Why Use a Knitting Loom? 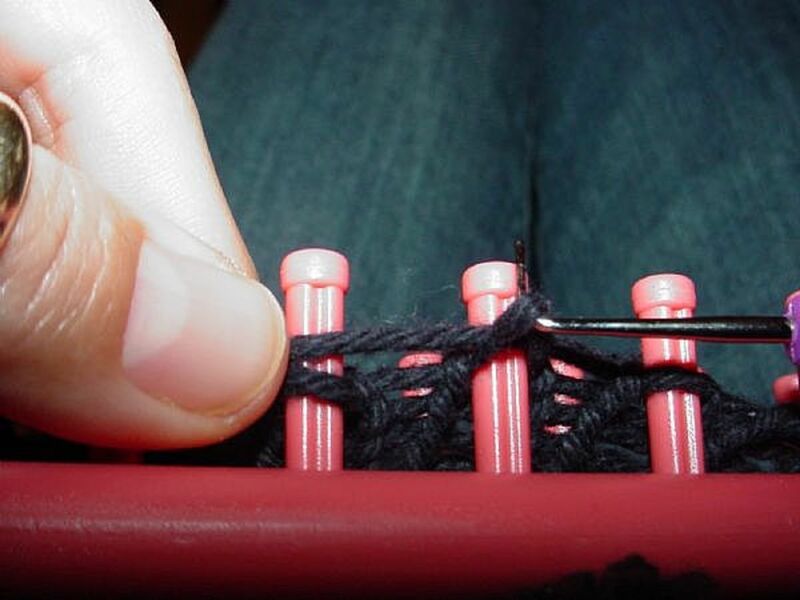 If knitting with needles is challenging, consider trying a loom. Knitting looms were not as common when I was growing up as they are today. I had not even heard of loom knitting until a few years ago, and then it took me a while to jump on the bandwagon. I grew up learning how to crochet from my mom and grandmother, so crocheting has come pretty much second nature to me over the years. Each time I would try to learn how to knit with needles, however, my wrists and forearms would start hurting unbearably. Since I was learning something new, and it doesn't come second nature to me to knit, perhaps I was too tense about the whole process. Regardless, it apparently was not in the cards for me to knit the traditional way. 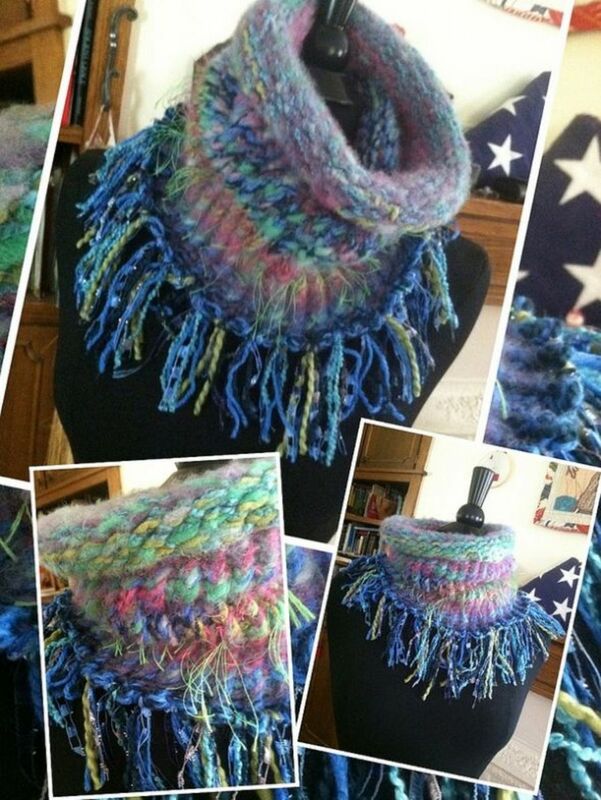 I love the look of knitted stitches in hats and scarves. The stitches just look so much warmer than most crocheted versions. I knew there had to be a way! Then I discovered knitting looms, and that has made all the difference. Apparently, I like to work my stitches a bit tighter than most do when it comes to crochet or knitting projects. After practicing on the looms and eventually getting the hang of the tension of the yarn wraps, I was well on my way and finally made my first hat. Finally, after all these years, I was able to knit a project to completion! If you know anyone or perhaps you yourself have a challenge when it comes to knitting, consider a set of looms to practice your stitches on. You may be pleasantly surprised. This is one of the loom sets that I have, and if you are new to knitting with looms, this is the package I recommend starting with. 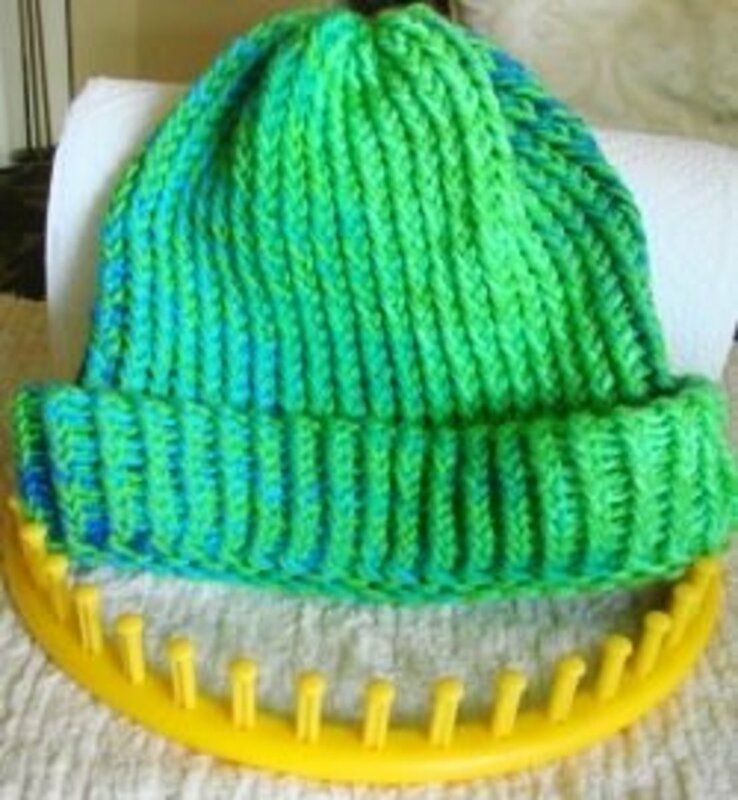 Basic instructions for making a knitted hat are included with this set, as well as the hook and darning needle. The sizes of the hoops are small, medium, large, and extra large. Blue is for preemie baby or doll size, while the regular small would work for most babies. Medium is for small to preteen children. Large is for some adults, and extra large is for adults that like a roomier sized hat. I personally prefer the largest size hoop for my hats, but my niece has made several on the next size down (large) for young adults as they prefer a tighter fit than I do. Once you get going with your projects, you may want to get an extra set so you can have more than one project going on the same size loom at one time! There are other brands to choose from, but I have found that the Knifty Knitter brand seems to be the most popular brand to work with. The hoops are strong and durable, so it's not hard to see why. Loom knitting consists of wrapping your yarn around the pegs on the loom. When you have two rows of yarn wrapped, you will take the hook and lift one row of yarn over the other row, one peg at a time. The result looks exactly as if it were made with knitting needles. Decide which style and brand of knitting loom you wish to use. Packages usually include several sizes. Look for a kit that comes with a hook and a plastic darning needle as well. You will use these to cast on and off and to do the finishing work. Calculate what size loom you need. Make sure you are using the right size, as the size of the hoop does not equal the size of the hat. I made a few hats for my then unborn grandson on the blue one, and they were way too small for him! I gave them to my little nephew for his beloved Teddy Bear, and he loved them. Choose two strands of your selected yarn. I prefer using the 4-ply cotton yarn (Peaches & Creme brand) or acrylic 4-ply worsted weight yarns (Red Heart brand). Note: My niece likes to use one strand of yarn to make her knitted hats, but I have found that it goes faster for me if I work with two strands as if they are one. Another good thing about using two strands is you can use one strand of a solid color and one strand of variegated colors for a fun design on your projects. Note: I suggest starting on the smallest loom you have so you can practice and get comfortable with the process. It took me a few hats to get my speed up, but you may be faster. 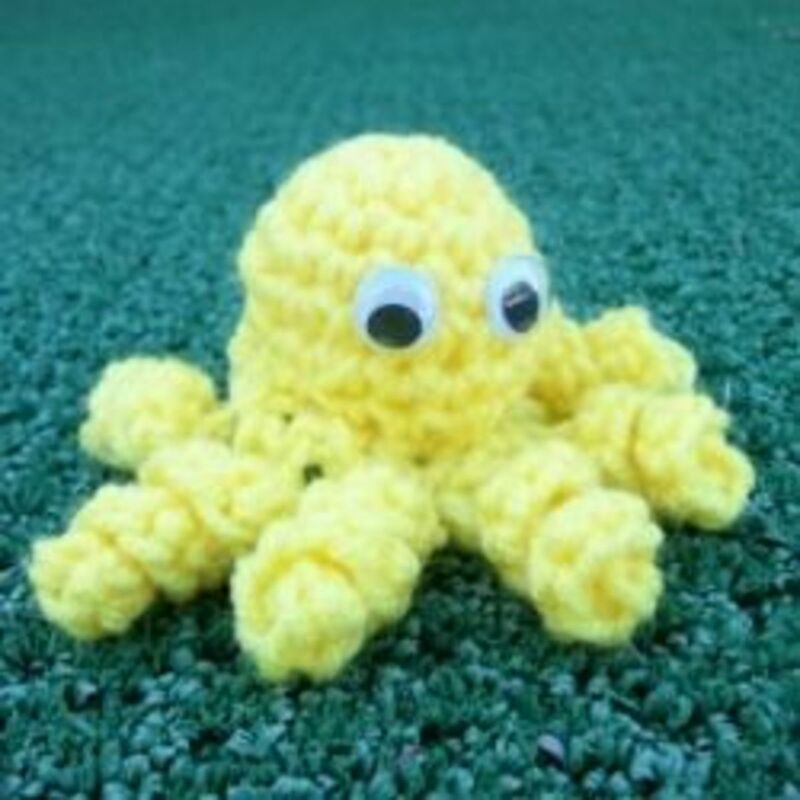 The most informative how-to videos I've found are on The Crochet Crowd's YouTube channel. I highly recommend looking there for help with your knitting loom projects! For now, the videos below should get you off to a good start. This link has several useful tips on it and this is one of them. 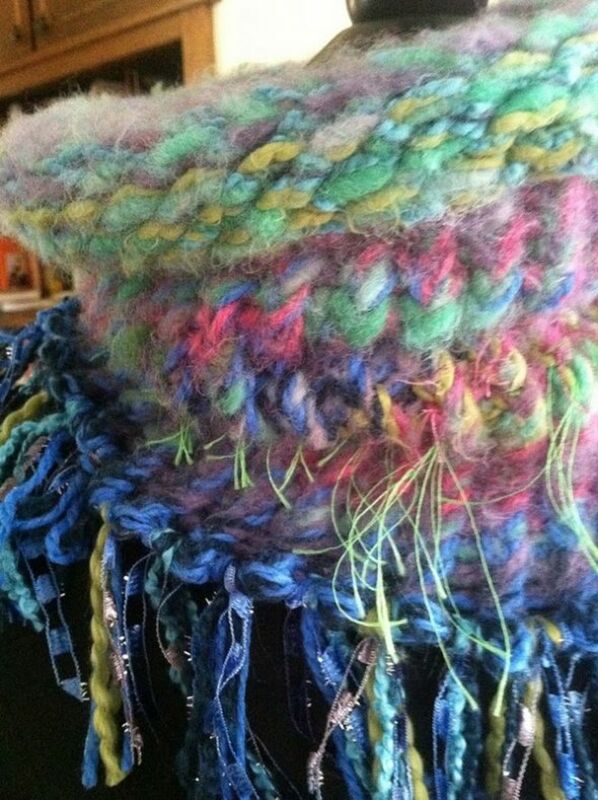 If you want to read how to add a double band to your hats, check out Loom Room. This site also shares a few other techniques that help you with adding a pom pom on a cap and changing colors mid-pattern. If you are having trouble getting started using your circular loom, there are photos demonstrating that as well! If you're really struggling, this in-depth guide has step-by-step photos for casting on, binding off, and everything in between. 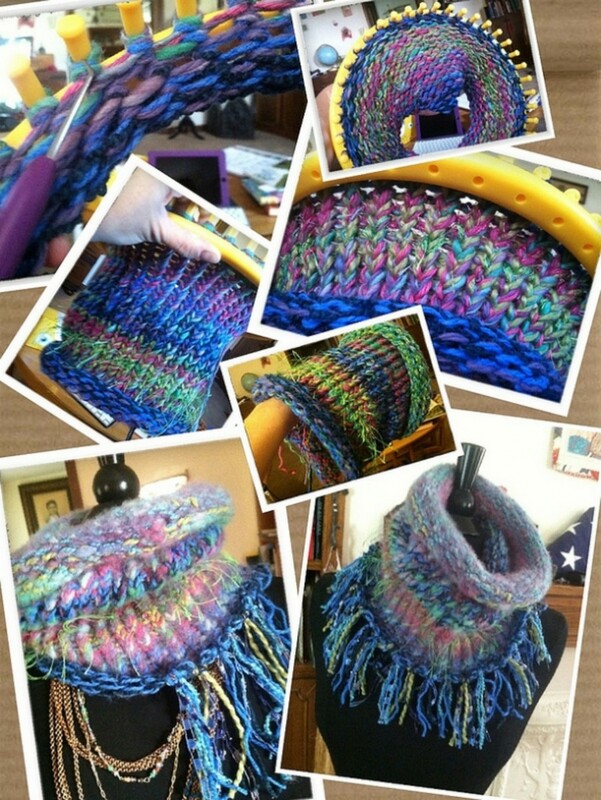 So, do you think you will give knitting looms a shot to see if you can knit this way? Maybe. I'm thinking about it! Nah...I'd rather watch paint dry! If you like knitting scarfs and hats, this set of round and oblong looms will offer various sizes for you to work with. I purchased this set as well as my other round loom set because I wanted the smaller oblong loom and the very small round flower loom to play with. The oblong loom is perfect for making slim width scarfs and the tiny flower loom can be used for making fun flowers to add to hats, totes, or to make pins out of. The other two round looms are considered to be medium and large. The large size makes a very snug hat like the ones that are so popular these days. 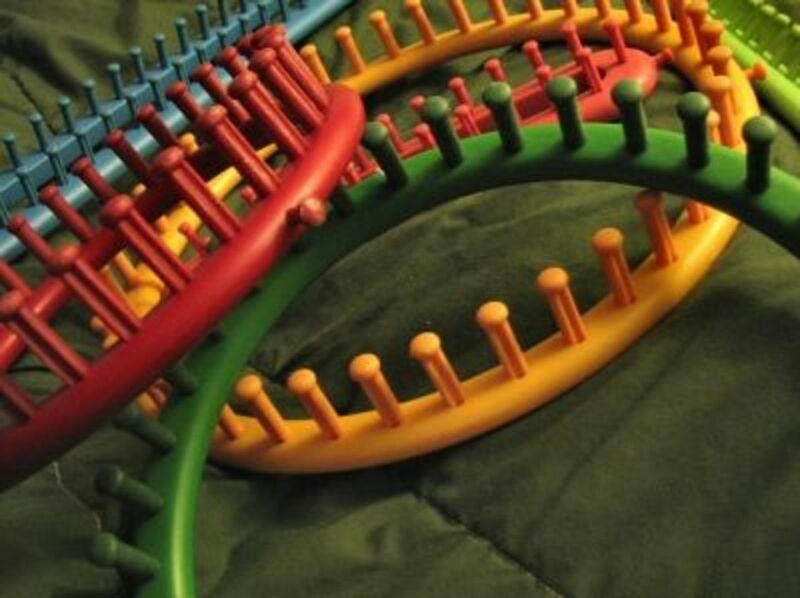 This is a great set of looms to add to your collection! I love this Round Granny 'Square' project! It would make an excellent base for a purse, hat, potholder, or placemat. This is a great tutorial for those who have been using looms for a while or are more familiar with the process. I'd say this pattern is for those with a beginner/intermediate skill level. Watch the video before starting your project, as she mentions things further along that might help with your project. This Knifty Knitter pattern is for those with a beginner/intermediate skill level. Have you ever used a scrubby when doing your dishes? They make clean up a breeze and it is amazing how effective they can be! This pattern looks fairly easy, and I'm sure you could whip out several of these for gifts in no time at all. 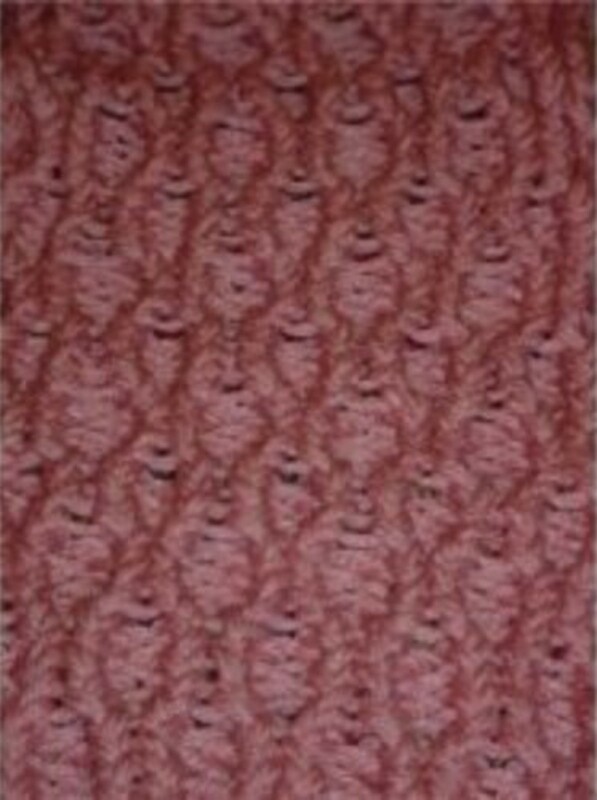 Visit Loom Knitting Designs for the PDF version of this pattern. 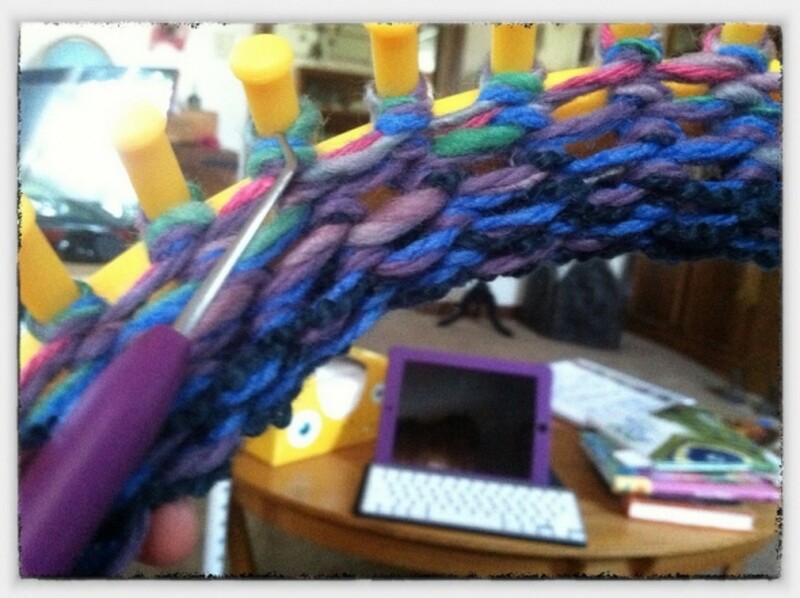 I would love to hear your thoughts about knitting looms or crafting in general. 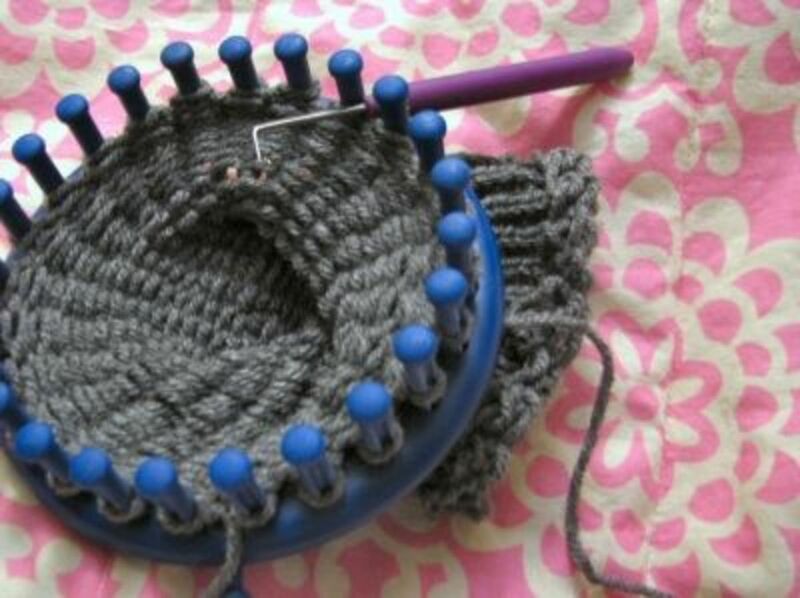 Have You Tried Knitting on a Knitting Loom? 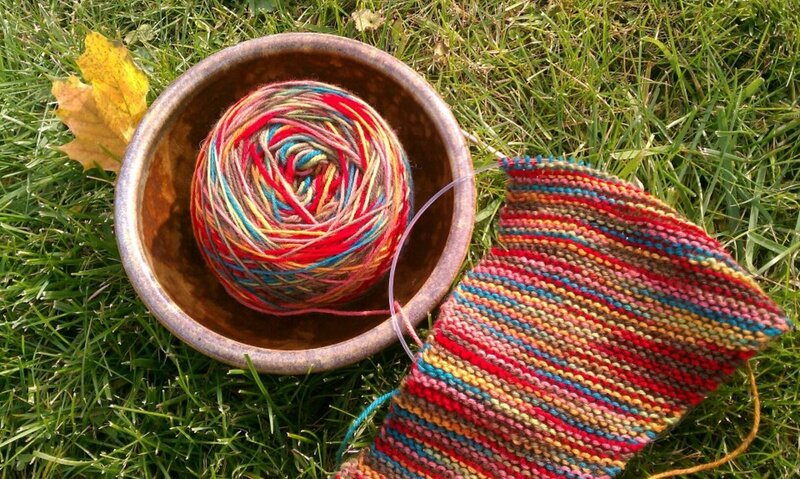 I have tried to knit socks on a sock loom and had a lot of trouble with it. I think I might try a bigger loom and see if I have better luck. I started knitting when I was nine years old and asked my Mom to make my mitts with longer cuffs to keep my wrists warmer. 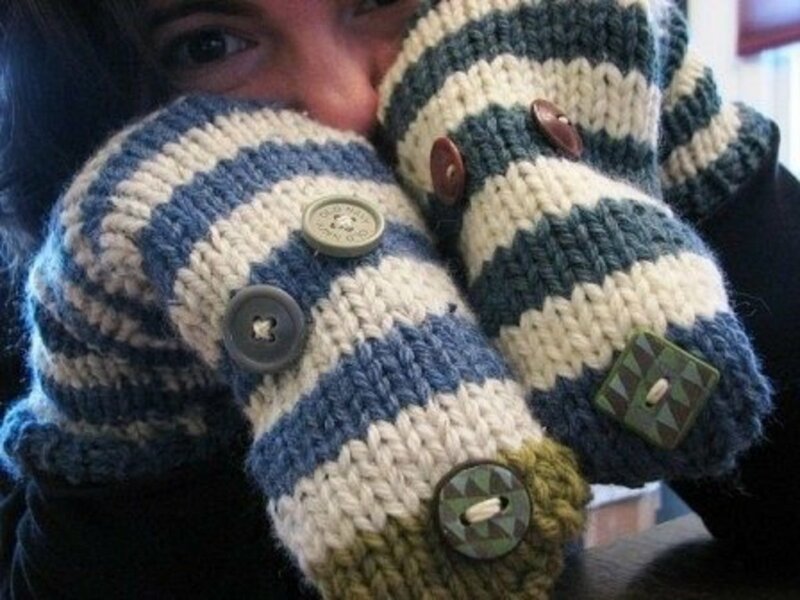 As I had a habit of losing my mitts often she taught me to knit my own... with cuffs as long as I wanted. I've been thinking about getting a knitting loom for my daughter. I'm a knitter and she wants to knit too, but she's too young. I tried teaching her a few months ago and her hands were just too small. The loom would be perfect! Loom knitting is something I would like to try, but when I looked into it I got a bit confused. The looms seemed to be sold by measurement but when I went to look at patterns they were saying use a loom with a certain amount of pegs. Maybe a difference of one or two pegs doesn't make that much difference to the finished item? I haven't seen one of these for years. Never tried it but I've a lot of positive comments about the tool. Just started and love it wish I could find more patterns for free to try. I just learned, and I'm having fun experimenting with it. I learned some new things here too. Thanks! I just read the description of you round looms for hat sizing and you have them sort of right. The colors and sizes are right if you had Provo Craft looms beside it. (NOT Boye) The blue, round loom is for preemies and dolls. Generally, the red round loom is for baby hats. There are a few stretchy hat patterns that would fit a baby when done on the blue round loom, but only if the knit is very, very stretchy. Never tried but can't wait to give it a go!!!! Looks like I'll need to get a knitting loom. Blessed!! I've always wanted to knit, really cool lense. Stopping back by to wish you a Happy New Year! Enjoyed watching more of the videos. Who thinks up these cool tools for knitting? I always wanted to learn how to knit. This knitting loom makes knitting looks easy. I should try that. Thanks for sharing this wonderful info. 3-4 years ago I was thinking of taking up knitting (with the needles). I was so intimidated by the process that I never looked back. If these looms are as easy as they seem, I think I might give knitting another go! Wow! I never realized how cute loomed things could be.. 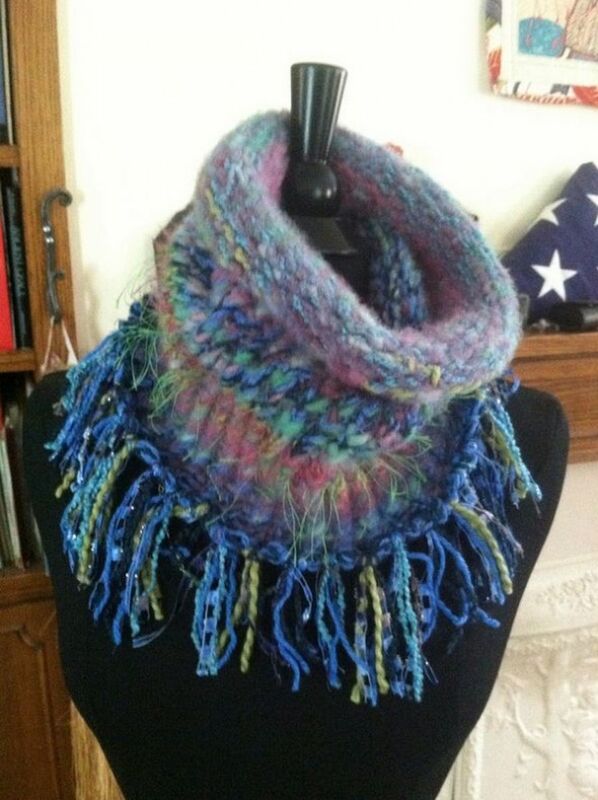 I would usually knit on round needles to get this effect! Blessed! I never have used a knitting loom but I have a feeling if I started I'd probably be hooked:) Blessed! Your title picture is cute enough. I have trouble making two alike. Just started using the LOOM and hoping to teach it to my granddaughter who wants to learn to knit. It's fun. Great lens. Last year when I had a hand injury I tried a loom for the first time and loved it! I made a bunch of hats, mittens and scarves for our mitten tree. Working on new patterns for this year. Anyone know a good slipper pattern? I've made about 60 hats.So easy and fun! I want to find instructions to decrease stitches before casting off so the top of the hat will lie more smoothly. I've barely scratched the surface of knitting with my loom (knifty knitter); I've only made a hat so far. But I have high hopes! lol Great job on this page! I love my knitting loom! It's fun, easy, and relaxing...a bit time consuming though. I'm happy for you and your niece. I'll have to get a loom now. Congrats on the purple star. What a treasure... your niece. She will go far in life. Love that she is already coming up with a business name. Now she needs a lens to feature her products (hint). I'll bet many of us here would support her. Thank you for introducing me to a new way to knit. Sounds really great. Appreciate the resources. Good information and Lens, made me want to try to knit. I've always been a fan of old-fashioned knitting needles. The other day, though, I admired a customer's hat, and he gave me my first glimpse of knitting looms in action. I'm pretty sure I'm going to have to try these... so fast! I have seen these in the craft stores I haunt and been wondering about them. I may be buying a set soon. Thank you! Can't say I have - but very good info you've put together here! Blessed by a SquidAngel! No, I haven't tried it, but it certainly looks like there are lots of possibilities. 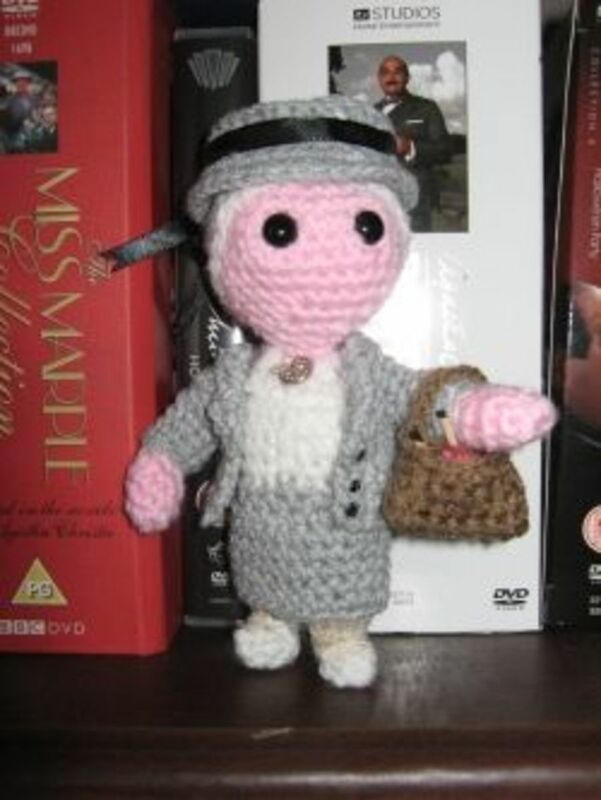 Nice to see that some people still enjoy knitting. I love knitting, great instructions. Great photos and instrucitons. Very well done lens. I'd love to learn knitting. I didn't know before that there is such thing as knitting loom. Your lens gives me such a good information. Thanks a lot! Very nice lens. Good directions and I love the pictures. My grandmother taught me to knit by hand using knitting needles when I was younger but a knitting loom sounds like a lot more fun! This is really awesome! I love the knitting looms. Even though I know how to knit and crochet, I really enjoy the looms too. I don't know how to knit at all, but I would like to learn it. Maybe this lens is a good start for me! Those remind me of the potholders we made when we were children. It makes sense to have round ones to make gloves &amp; hats. Interesting idea! 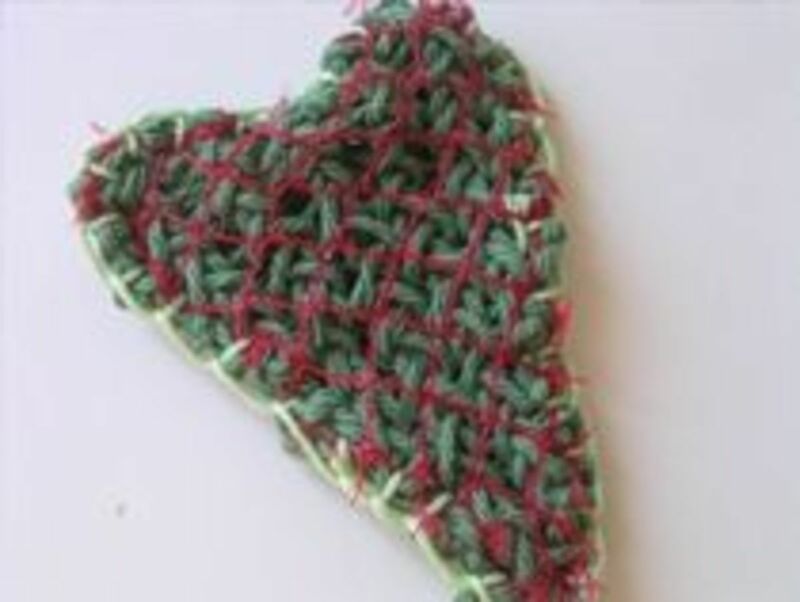 I used to have some sort of knitting loom as a kid that I was able to make potholders with. Great lens...Congrats on your Purple Star!